Junk It!® has two options for you to get rid of your junk fast and hassle-free. We send a large truck that has the capacity of 9 full pick up loads with a friendly crew of two. You simply point to what needs to be removed and we cheerfully and efficiently load up the truck. The fee’s are based on how much of the truck is filled with your junk. All prices are upfront and a no-obligation estimate is always provided before we start the job. This is an ideal service if you want us to take care of everything. 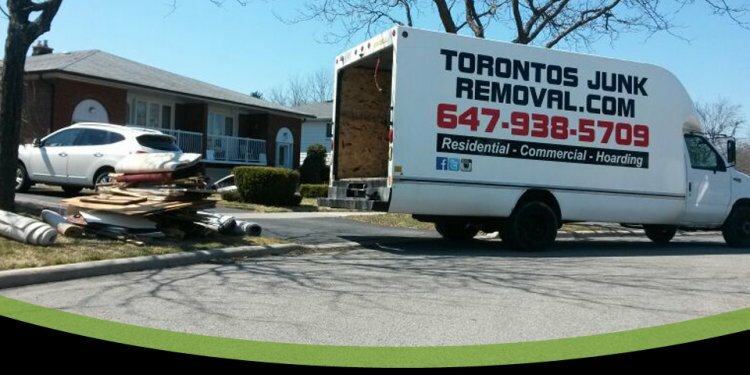 We rent and deliver one of our driveway friendly walk in garbage bins or dumpsters to either your home or business. You simply walk in and load the bin. We take it away once it is full. Be sure to check out dumpster rental and garbage bin rental page for more details. That is a good question and we are asked it every day. We do our best to recycle when we can. Electronic or e-waste, scrap metal, appliances, gently used furniture, drywall and construction waste, concrete can all be recycled or donated. We feel it is our responsibility to do our best for the environment. That is why we recycle up to 60% off all our loads and we are working hard to increase that percentage every day. Every company says it but we actually live by it. Customer service is the cornerstone of our company. We know it can be infuriating when you receive bad customer service. That is why all our staff are provided rigorous customer service training to ensure we give you the most friendly, hassle free junk removal service. All our crews have professional uniforms, wear booty covers in your home and always have a big smile from ear to ear. We love what we do and it shows every day. Video not playing? Watch file on YouTube now. Junk Removal Toronto in Action. At the time you order our services if you have found a lower price on an identical, regular priced service from any local Canadian competitor, we will match the price. The competitors' price must be published on their website and available for viewing at the time of booking.